1) Formats change. Because of rapid technological evolution the “language” which one storage media speaks can become obsolete (incomprehensible) in only a few years. Or the hardware that speaks that language becomes so rare, it cannot be accessed. Who can read the data on ten-year old floppy disks? 2) The storage medium itself can decay. Turns out that paper is much more stable over the long term than most digital media. Magnetic surfaces flake, peel, shatter. 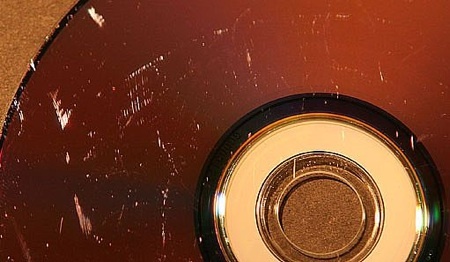 And the supposed durable CDs and DVDs aren’t very stable either. I’ve got all of the original iMovie projects backed up on DVD, in clear cases, neatly arrayed in a drawer next to my desk. Guess what? On the Mac I use for video editing, most of the DVD’s were unreadable. They’re less than four years old! I know, of course, that home-burned DVD’s, which rely on organic dye that deteriorates with time, are nowhere near as long-lived as commercially pressed discs. But man. Four years? Scared the bejeezus out of me. In other words, anything you want moved to the future has to be given attention to keep it moving forward. We don’t know what the natural movage respiration cycle is for digital media yet since it is still very new, but I suspect the cycle is much shorter than we think. I would guess it is 5 years. No matter what digital format you have your precious stored on, you should expect to move it onto new media in five years — and five years after that forever!